After seeing Rhodes, I spent one day in Athens, before returning to the States. When I was in Athens 1 year ago, I went to the Acropolis Museum and hiked up to the Acropolis, from where you can get beautiful views of Athens and the surrounding area https://irina.smugmug.com/Athens-Greece-June-15-2016/i-2Bfwgb4). This time, I explored some of the ruins in the city that I saw last year from the Acropolis, including: Hadrian's Arch, the Temple of Olympian Zeus, the Panathenaic Theater, the National Gardens, Hadrian's Library, Monastiraki market, the Roman Agora and the Ancient Agora. 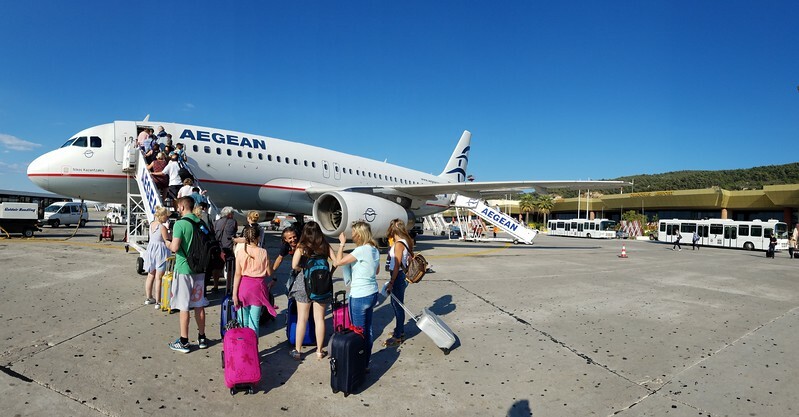 Boarding the flight from Rhodes to Athens.